Personalized cowboy birthday shirt. 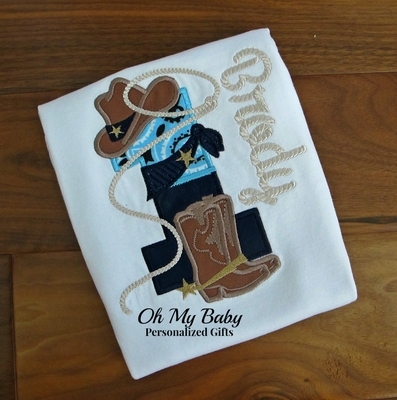 Super cute for you little one's cowboy western theme. Other colors available by request.